My many stops and meetings throughout the Fifth District have painted a clear picture of the concerns Fifth District Virginians have regarding the most pressing issues facing our country today. At the top of that list is the President’s health care law. These policies put forth in Washington have very real effects on Central and Southside Virginians and delivering on their message, I am committed to repealing this law in order to replace it with market-based solutions which lower costs and improve access to quality care for all Americans. As we mark the second year anniversary of the President’s health care law, and as the Supreme Court considers its constitutionality, the House has continued to press forward, standing up for the American people by taking yet another vote to repeal and replace this misguided law. Just this past week, the House passed the bipartisan PATH Act, a bill that would repeal a provision in the law that which appoints a group of 15 unelected government officials – the Independent Payment Advisory Board – to make health care decisions for our seniors, placing the government in between the individual and their doctor. The Independent Payment Advisory Board is just one troubling provision out of the many contained in the law. It is another example of how the President’s health care law negatively impacts Central and Southside Virginians and Americans across this country, specifically our seniors, who need and deserve access to care. And most important, it is another example of the fundamental difference in the Administration’s view that greater trust should be placed in the federal government than in the individual and House Republicans’ view that greater trust should rest with the American people. This board of 15 unelected government officials has the power to unilaterally make decisions limiting seniors’ access to care and interfere in decisions that must be kept between our seniors and their doctors. The vote to repeal IPAB is one small step in the right direction as we work towards repealing and replacing this misguided law. As the House continues to work on behalf of the American people, scaling back federal government over-reach and upholding our individual liberties, the repeal of IPAB is a positive step toward ensuring Central and Southside Virginians, and Americans across this country, that unelected officials, who are unaccountable to the American people, will not stand in between the individual and his or her medical decisions. As the Supreme Court considers the constitutionality of this law, we must keep in mind that it is the American people that will ultimately decide if this law is right for our country. The people of the Fifth District have spoken, and they have said we can’t afford the President’s health care law, which will raise premiums, raise taxes, and ultimately cost us individual liberties this great democracy was founded upon. The House will continue to work on their behalf so that we may repeal this law and replace it with patient-centered solutions that will empower the American people and not the federal government and create greater access to the affordable, quality care that Central and Southside Virginians need and deserve. 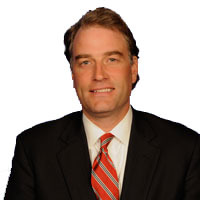 Robert Hurt represents the Fifth District in the U.S. Congress.